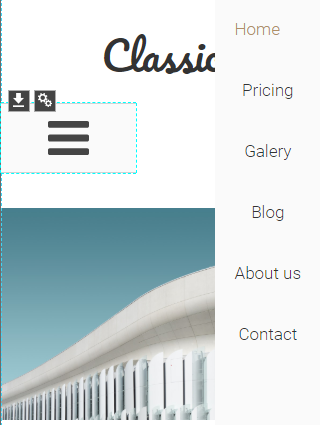 It is common practice to replace regular menu on the mobile version of a website with a "hamburger" one. 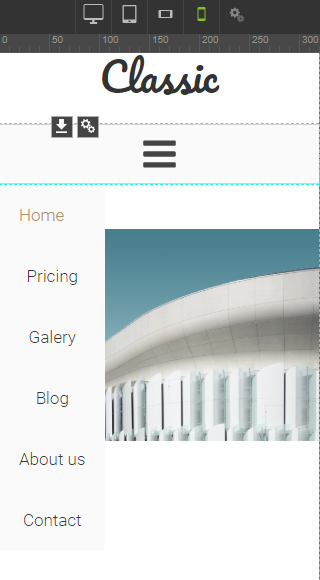 In this article, you will learn how to do that in website builder WebWave. 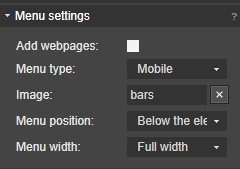 In order to create a "hamburger" menu, enter a mobile version of a website (more about RWD read here) and in side edition panel in "Menu settings" select "Menu type: Mobile". 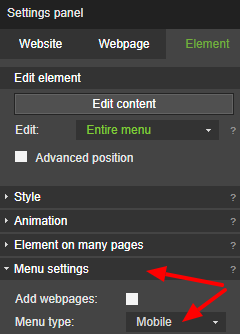 Customize menu to look exactly how you want it. 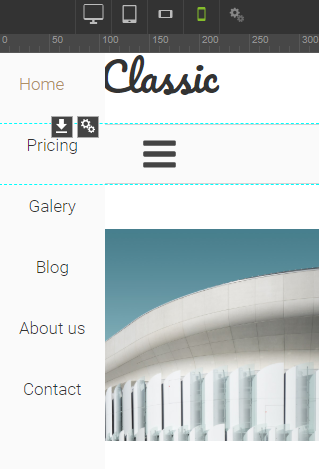 Change menu width, position and image so it perfectly suits your project. 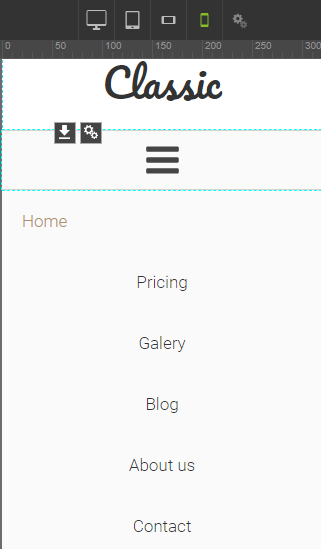 Menu type - select what type of menu should be on a mobile version of your website. 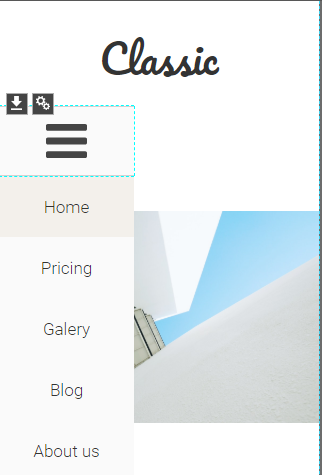 Image - if you don't like default image of "hamburger" menu you can easily change it. As you can see, mobile menu features give you a lot of possibilities to make mobile menu suit your website just like you want it.